Excelsior Springs was founded in 1881 and quickly grew due to its world renowned collection of natural spring waters. The city established itself early as a health resort destination. 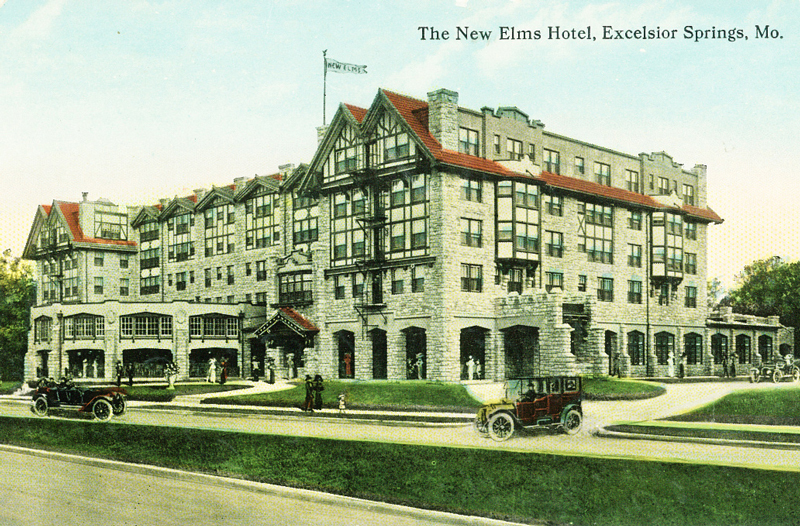 Known as “America’s Haven of Health”, The Elms Hotel was built in 1912 as a luxury resort providing luxury accommodations and spa services. 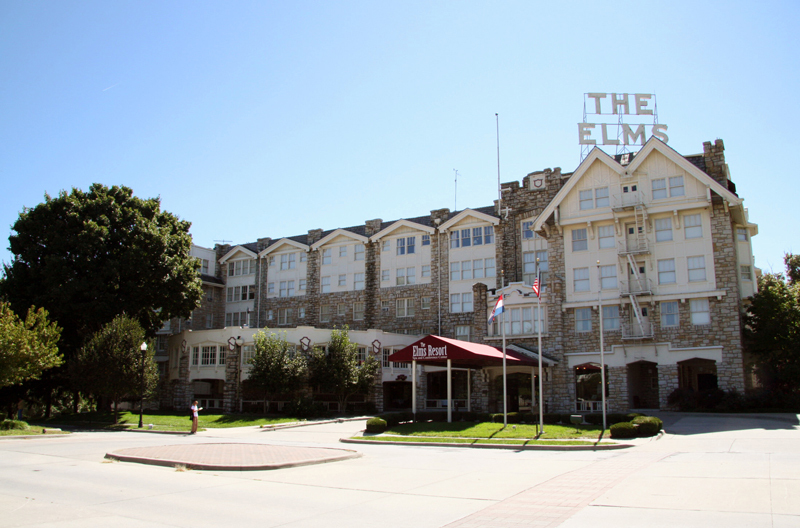 Over the years, the Elms Hotel has seen many different owners and a variety of renovations to the building, spa and surrounding grounds. 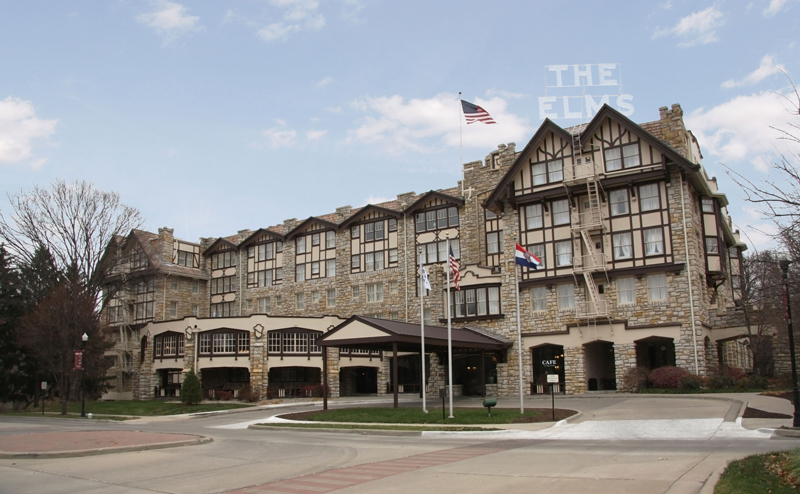 STRATA served as the historic architect of record for the exterior façade restoration of The Elms Hotel and was part of the Stark Wilson Duncan design team as the historic tax credit and preservation consultant for the interior rehabilitation. Our responsibilities included the assessment and production of exterior façade and window rehabilitation documents in addition to preservation consulting for the interior rehabilitation. The exterior façade consists of Tudor Revival Style elements with brick, rusticated limestone, steeply pitched gables, stucco and decorative wood half-timbering. The windows were a combination of historic wood windows, replacement wood double-hung windows and double-hung aluminum windows on the secondary facades. Each window was assessed and window restoration and replacement drawings and specifications were developed for each specific window type. 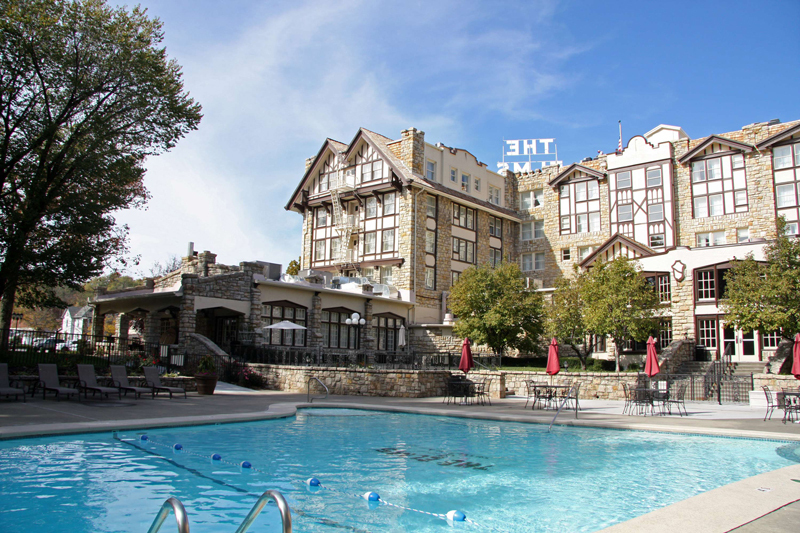 The exterior work included, masonry cleaning, repointing, stone replacement, stucco patching, wood window repair and replacement, wood repair, new roofing, new historically appropriate paint scheme and the restoration of the hotel’s signature element — the large interior illuminated metal sign atop the hotel. The design intent for the interior rehabilitation focused on blending the unique historic features of the space with simple, classic modern design elements. 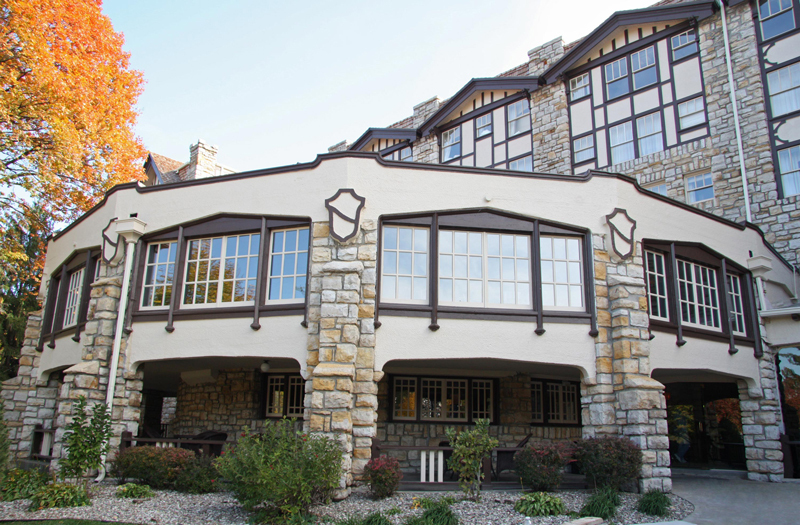 Inside, the hotel retains much of its historic charm and has an engaging welcoming atmosphere. When patrons visit the Elms, they are greeted within the meticulously restored main floor historic lobby. The interior rehabilitation touched all rooms and spaces both public and ‘back of house,’ including: all 153 hotel rooms, two historic ballrooms, the two-story dining room/restaurant, a large conference center, two lounges, an entirely new state-of-the-art luxury spa, exercise facility, indoor pool and outdoor pool.